Textile Auxiliaries, Optical Brighteners, After-treatment Chemicals. Textile Dyestuff for Reactive, Disperse, Acid, Basic Dyeing and Printing Dyes. Cellulase, Catalase, Amylase Enzymes used after pre-treatment. Silicon softeners and silicon oils used in pre-treatment. Established in 1983, Alfa Kimya started business in Textile Auxiliaries Trading. Later on, Alfa Kimya signed several representative agent agreements with Far East dyestuff manufacturers to start import and marketing of Reactive, Disperse, Acid, Basic and Printing dyes. During the following years, started its own co-production of textile Auxiliaries together with Stockhausen GmbH of Germany (Türk-Stockhausen A.Ş.). 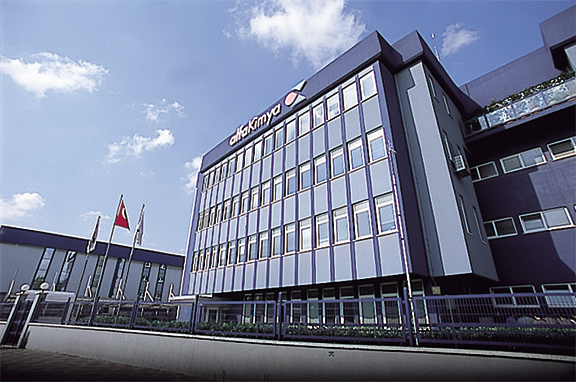 Today, Alfa Kimya, manufactures and trades more than 350 different products in its own facilities for mainly Textile Industry as well as Construction and Detergent Industries. For our Textile Auxiliaries product group, besides Novozymes (Denmark) as an Exclusive Distributor, we are the agents of Protex-International (France), Indo Colchem (India) and Zheijang Runtu (China), serving the complete needs of the Textile Auxiliary needs of our customers. © 2015 Alfa Kimya. All rights reserved.